CU 6552 4P. 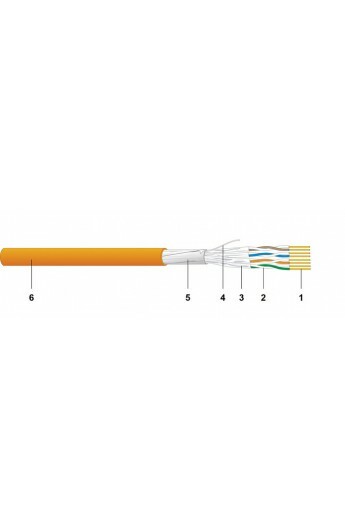 Data cable, F/FTP, Category 6A, AWG 23, Euroclass Dca. 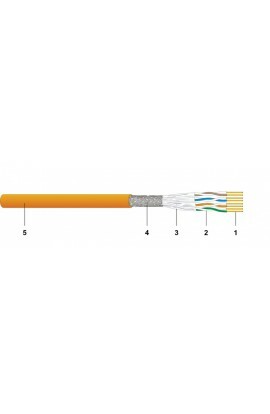 - Electrically and mechanically improved quality Cat.6A data cable - fulfils the requirements of ISO/IEC 11801, IEC 61156-5, EN 50173-1 and prEN 50288-10-1. - Excellent shielding effect due to individually screened pairs and overall foil screen. 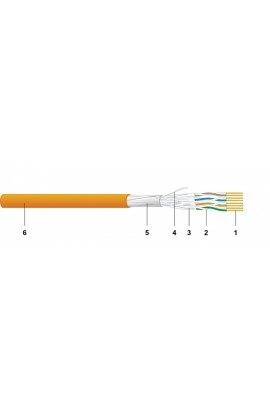 - Compatible with all current connecting hardware in accordance with EN 50173 and ISO/IEC 11801. - Data cable for structured premises cabling. - For the transmission of digital and analogue voice, video and data signals. - Suitable for all ICT network applications up to class EA applications (500 MHz) in accordance with EN 50173-1 and ISO/IEC 11801. 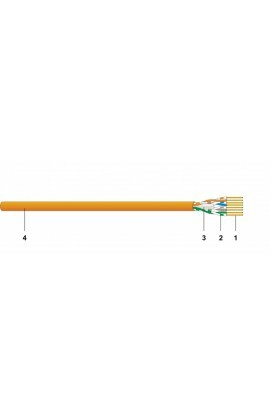 - Applicable for Power over Ethernet (PoE) / PoE+. - Coupling attenuation: (limit curve of critical state - IEC 61156): > 70 dB. Temperature rangeduring installation:0° C to + 50° C. in operation:-20° C to + 60° C.
- Imprint: DATWYLER «cable type» «additional text» «batch number» «meter marks». Zero halogen, no corrosive gases. IEC 60754-1/-2, EN 60754-1/-2, VDE 0482-754-1/-2, AREI-RGIE Art.104-SA.